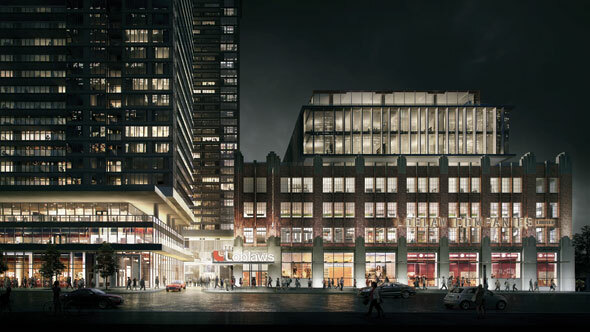 The historic former Loblaw warehouse at Bathurst and Lake Shore is going to become a massive retail, office, and residential complex, if a planned renovation and expansion project comes to fruition. Developers are planning to dismantle the historic brick building, which is protected under the Ontario Heritage Act and listed on the City of Toronto's inventory of heritage properties, clean and reassemble it, brick-by-brick. A new structure will be added to the roof and some of the property developed for residential use. The plans, officially unveiled today, represent a fleshed out version of a proposal that first surfaced in 2013. 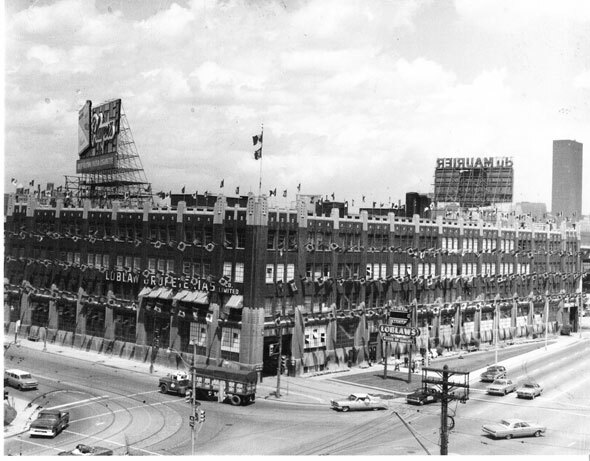 The 7-storey Art Deco warehouse opened in 1928 and served as Loblaw's head office as well as its central manufacturing and distribution facility until the 1970s. The Daily Bread food bank used the building until 2000, after which it fell into disuse. In 2004, Loblaw filed for permission to knock down its former headquarters to make way for a supermarket, but the proposal was rejected by the Ontario Municipal Board. When the restoration is complete, Loblaw will finally get its long sought-after new store inside the protected portion of the building. It will be modelled after the company's marquee Maple Leaf Gardens location, according to a press release. The new upper levels will be used as office space. 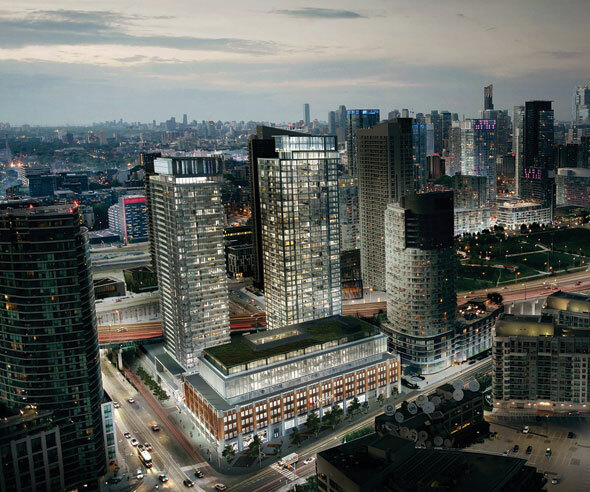 Concord Adex, the developer of much of CityPlace, has bought the air rights to the property and plans to put up two condominium towers on the north end of the site south of the Gardiner Expressway. At 41 and 37 storeys, the pair will contain a total of 876 residential units. The entire project is due to be completed by 2019.